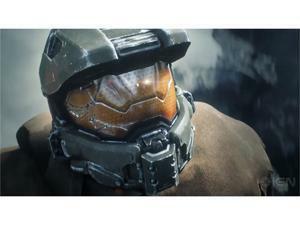 Since its inception, Halo has been the flagship franchise for the Xbox brand. 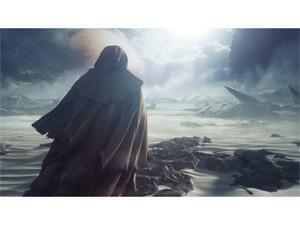 Microsoft pulls out all the stops when it comes to developing and marketing a new Halo title. So the success of Halo 5: Guardians, the first Halo title developed for Xbox One, is important for the continued success for the new console and the brand as a whole. Developer 343 Industries did a solid job with their first game, Halo 4, back in 2012, and showed that they're equipped and up for being the caretakers of Xbox's prized franchise. Now with Halo 5: Guardians, can 343 keep up the good work? 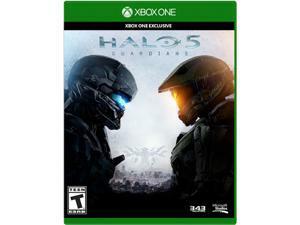 Halo 5: Guardians begins with you taking control of Agent Jameson Locke (portrayed by Mike Colter, voiced by Ike Amadi), a new character in the franchise, and his fireteam, Osiris, on a mission to find Dr. Catherine Hasley. After a pretty adrenaline-charged cut scene, you’re immediately thrown into the fray of a battle between The Covenant and The Prometheans. Graphically the game looks amazing, hits 60 frames per second in 1080p and I didn’t notice any lagging or slowdown. The scenes and animations are beautifully rendered with a ton of action. In the first mission, you learn about your abilities in Halo 5. You lead three other soldiers with the ability to order them to take out a specific target by pressing up on the D-pad. You can also direct them to go in one direction while you flank an enemy from behind. This comes in handy when you’re facing some of the Hunters who are a lot savvier this time around. Your team can also revive you if you’re taken down, and you can revive them. Luckily your team is pretty self-sufficient in reviving each other so they’re not a burden and are helpful more often than not. You also have a boost ability by pressing B, that can boost you forward or left or right. There’s also a ground pound ability where if you jump up, press the melee button, which is RB, you can aim at what part of ground you want to pound and take out some enemies. Finally, you have a Spartan Charge where you sprint and press RB to burst through weak walls and doors or a group of enemies. While I didn’t use the ground pound ability that often, the Spartan Charge is a great addition, especially when you’re out of ammo (which happens often) and need to rid the area of foes. It’s kind of refreshing to not have to worry about upgrading weapons or unlocking abilities like most games require nowadays. You pretty much end the game the way you started. Once you complete that first mission, you join Master Chief and Blue Team on a routine mission to recapture a lost ship. While Master Chief and Locke’s abilities are pretty much the same, we’re also shown the ability to stealth kill unaware enemies and also jump and hover when we aim with Chief’s weapons. In the midst of the mission, Master Chief is interrupted by a communication from a familiar voice who we thought was long gone. Of course, we have to investigate against the higher up’s orders. And this is why Agent Locke is sent to hunt after Master Chief because according to Dr. Hasley, there is something that Chief probably shouldn’t be fiddling with. There are 15 missions in Halo 5’s campaign and the majority of that is Agent Locke hunting Master Chief, which might be disappointing to some fans, but it still feels like Halo. We’re still fighting Covenant, we’re still controlling vehicles like Ghosts, Banshees, and Scorpions, and we’re still picking up Plasma pistols and rifles when we run out of ammo. We get a look at a number of new planets, meet new characters, and commandeer new vehicles and weapons too. In addition, the campaign can be played with up to four other players, which also increases the difficulty. It’s a blast and opens up the game’s replay value. Unfortunately, as previously announced, there isn’t split screen multiplayer (or couch play) this time around. Another thing you’ll notice during the campaign is the excellence of the level design. While it is a linear experience, requiring you to go from point A to point B, the design of how you get there makes each situation a bit more interesting. When playing solo, I directed my AI team to move forward in a valley while I took a higher path to kind of overlook to see what we were walking towards. When playing co-op with friends, I could be down on the ground taking out baddies while my friend is on a higher vantage point sniping enemies who were trying to come up from behind. In other circumstances, I could be on a ledge distracting a Hunter by firing shots in his direction while my teammate would sneak up from behind and slice him with an Elite’s blade. Some of the missions are a bit repetitive though. At some points in the game, both teams, Osiris and Blue Team have to fight through similar areas. After finishing a daunting mission taking out hordes of Prometheans, the next mission with the other team takes place in an almost identical scene taking out another horde of Prometheans. Didn’t I just do this? Ugh. Fortunately, the story had me intrigued enough to keep me moving forward. Was this communication from that voice real? If it is, what is going on? What will happen when Agent Locke catches up with Master Chief? And who (or what) are The Guardians? When you get into the thick of it, the overall theme of the story is pretty cliché and has been told before, but I can’t deny the journey to the end was fun. While 343 Industries spent quite a bit of time working on the campaign, there are a lot of Halo fans who skip over that and go straight to the multiplayer. Arena is where you can find your well-known Halo multiplayer games like Capture the Flag, Slayer, and SWAT games. I was never particularly good at multiplayer, or rather; I never spent the amount of time necessary to be good in Halo multiplayer. Regardless, Arena offers a variety of maps to battle it out on, some new, some classic and they’ve gotten rid of the Call of Duty-like loadout option from the last go round. 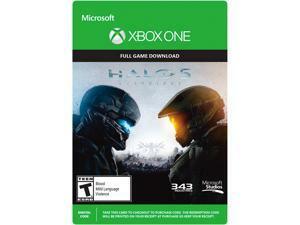 This time Halo’s multiplayer offers REQs (which can also be bought with real cash), which are random decks of cards that offer one-time use abilities, weapons, or vehicles in a match. There are some advantages to this, especially if your opponents are whipping out some heavy weapons. On the other side of multiplayer is Warzone, which was a lot more fun for me. It’s a 12 vs. 12 match on a huge map where you not only fight against another team, but against the Prometheans as well. The first team to 1000 points or destroys the other team’s core wins and you earn points by completing mini-tasks in the match like capturing and holding a structure, defeating a boss, and just taking out the other team. I was quick to use my REQs to conjure up Ghosts, Banshees, and Scorpion tanks to contribute to my team’s fight, especially when it came time to defeating bosses who not only are strong but also fly and drive strong vehicles. These situations are always interesting because you could be in the middle of a gun battle with the opposing team and the moment a boss lands, team members will breakaway to fight that boss. Teams will fight over who will end up killing the boss, while the boss is killing all of us. It’s a complete mess and so much fun. Teams, however, need to keep in mind not to leave their bases unprotected because while everyone is trying the earn 100 or so points for taking out a boss, there could be a group sneaking in to take over a base you’ve claimed. Warzone is addictive fun and will keep me coming back. Overall, Halo 5: Guardians is a solid addition to the franchise that Xbox One owners wouldn't regret investing in. 8.75 Halo 5: Guardians is the second game in what looks to be a trilogy from 343 Industries and for the most part, the developer is doing a good job of handling the franchise with care. We'll be sticking around for the next Halo title from 343. The game looks amazing. It’s beautifully rendered at 60 frames per second in 1080p. The level designs are remarkable both in the campaign and multiplayer along with the animation and art design of the game as a whole. It’s the best looking Halo game yet. In the beginning of the campaign, the story does a good job of hooking you in, but as it moves forward it becomes predictable and a bit cliché, as we’ve seen this type of story told before. The voice cast that consisted of folks like Ike Amadi (Agent Locke), Laura Bailey (Olympia Vale), Nathan Fillion (Edward Buck), Steve Downes (Master Chief), and Keith David (The Arbiter) did a marvelous job along with a score by composer Kazuma Jinnouchi that’s epic. Going through the campaign once by myself was fun. But doing it again on heroic or legendary with friends is even better. Plus Warzone is addictive and I’ll be logging on again and again.